The 61st annual Grammy awards held last night. The ceremony was dominated by female performers and presenters where Kacey Musgraves won album of the year and Cardi B became the first woman to win best rap album as a solo artist. 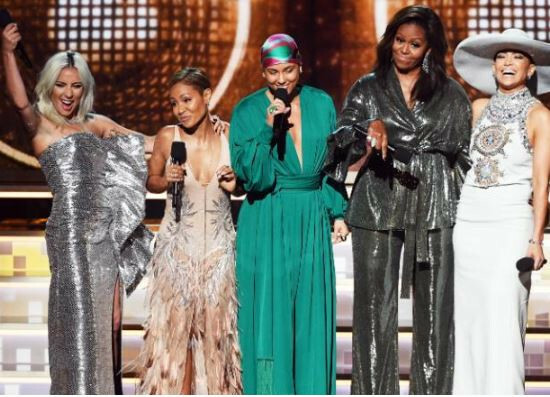 At the beginning of the show, Alicia Keys, the host, introduced “my sisters”: Lady Gaga, Jada Pinkett Smith, Michelle Obama and Jennifer Lopez. Messages of inspiration and hope continued throughout.